The endless surge of head-mounted display devices and virtual reality apps on the market suggests that the VR market isn’t going to slow down anytime soon. Haptic.al reported that the mobile virtual reality market is expected to grow to nearly $10.9 billion by 2021. The article also noted the greater availability of both hardware and software will be its driving force this year. While the years ahead are promising for virtual reality, the process of getting there won’t be that easy. At present, many studios are interested in venturing into VR, but they are faced with the economic reality of the market place. As the market becomes saturated with branded technologies, it becomes difficult for smaller developers and studios to get their brands and products noticed. Thus, many of them have one question before embarking on this new technology: can I make money from VR? The answer is yes, if you’re smart about it. Read on below as we list the most effective tips on how to gain success in the mobile VR market. Once you’ve decided to get into the mobile VR ecosystem, you must concentrate on how to keep users from enjoying the platform. It’s a must to address any issues that affect their experiences, such as limited session time or frequency. While there are many factors that are beyond your control, such as the internet speed of the user, you can make the experience easier at their end. For example, you can allow updating the app in the background while they continuously use the experience. As technology continues to improve, these problems will be dealt with. But, you also have the power to keep them engaged by addressing issues on your side right away. While gaming apps were a major component in VR becoming widely accepted by the mainstream, there are other types of content that consumers and businesses are seeking. TechRepublic reported that 47% of businesses are considering VR in the future, using the technology for training, tours, demos, prototyping and more. Organisations are looking into investing in non-interactive VR apps, such as social destination experiences or those with minimal interactivity. While more users may favour interactive experiences as they centre on ‘cooler things,’ focusing on an immersive experience in utilising the technology can bring success. Developers must understand how virtual reality is being used and what problem does it address to the target market. Many consumers want to show off the technology to their friends and family, so creating something that is easy to share and spectate can make a big difference. For those targeting businesses, VR must offer them convenience, data privacy and security, on-demand content and more. VirtualSpaces offers a cost-efficient and secure platform that targets architects, engineers, interior designers, and the real estate industry, allowing customers can visualise a space during the design phase. The technology is maximised to give clients an immersive feel and the ability to walkthrough the entire property without having to view the plans on a blueprint or the flat screen of a PC. Thus, if you want your VR apps to succeed, you must leverage technology to its full potential and not only to entertain users. Ultimately, many industry experts are optimistic about the state of mobile VR right now. Over time, technological breakthroughs (i.e. 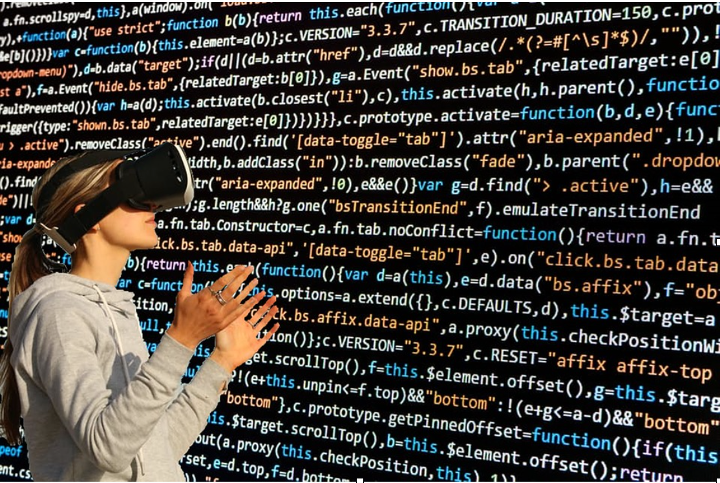 optics, processing efficiencies, cloud computing, and increased access to higher-quality broadband) will enhance and accelerate the general availability of consistently high-quality VR experiences. Techno4Jen is finishing her master's degree in computer engineering, while working part-time as a virtual IT consultant for an offshore firm. She loves everything about technology and has attended multiple tech conventions around the world. Her love for technology has made her a certified geek focusing on virtual reality, augmented reality, artificial intelligence and more. She believes that virtual reality has a lot of potential to grow as a business technology just like mobile devices are today, but it might take a few more years to achieve that.